Salvador Acosta’s philosophy about drive and determination has enabled him to accomplish his dreams one step at a time. Salvador is the first in his family to attend college. Though his family has been through many hardships, they have always supported his pursuit of education. Salvador is a curious and humble leader among his peers. In high school, he took on leadership roles in the JROTC program and served as an example by maintaining a 4.0 GPA. He received the Texas Scholar Award, the Texas Lutheran University PACE Scholarship Award, and the American University Leadership Award. 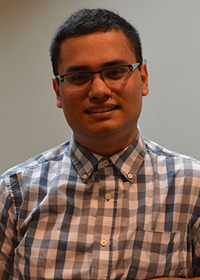 In college, he has been involved as a voter registration coordinator and has helped to register, inform, and encourage people to vote, specifically in the Latino community. An honor student at Texas Lutheran University, he is currently taking part in the Washington Semester Program at American University. He is excited about the never-ending opportunities to build his network and learn from professionals in the area. During his time in Washington, D.C., he is interning at CHCI helping the programs team provide quality programming. In the next 5-10 years, Salvador hopes to obtain a master’s degree and then pursue a Ph.D. in political science. Afterwards, he hopes to work for the federal government or a think tank/social movement organization and has aspirations to one day run for office. CHCI congratulates Salvador on igniting his passion for public service and public policy and for his acceptance into the Washington Semester Program at American University. CHCI is proud to have Salvador Acosta as part of the CHCI familia! To support dynamic students like Salvador Acosta and CHCI’s programs such as R2L NextGen, please visit: www.chci.org/donate.